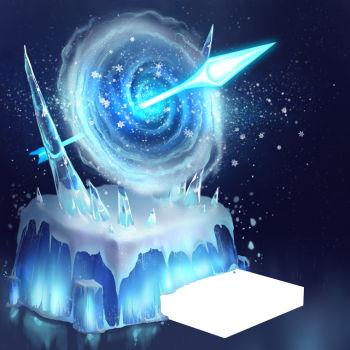 A gate to a dimension of endless ice and snow sits atop an icy spire that generates gigantic bolts of purified ice that are perfect for piercing the burning ice-hearts of Draconic mice everywhere! The Blizzard Ballista Trap Skin can be used on the Storm Wrought Ballista Trap. The trap's stats (power, power bonus, attraction bonus, etc.) are not changed. The Blizzard Ballista Trap Skin may be made available during the annual Great Winter Hunt event and can be traded on the Marketplace or through Give To Friends. 12 December 2017: The Blizzard Ballista Trap Skin was released as part of the Great Winter Hunt 2017. This page was last edited on 16 December 2017, at 15:54.